A member of PJAK (Free Life Party of Kurdistan) assembly explains the position and reaction of PJAK regarding the attacks of Syrian regime forces on Hasakah in cooperation with Iran and Turkey. He said they will not stay silent, and added that several Kurdish parties are being used as tools in the hands of Kurdistan’s occupiers. Member of Free Life Party of Kurdistan (PJAK) assembly Siyamend Moînî talked about the joint attack of Assad’s regime, Iran, Turkey, Syrian oppositions and some local Kurdish forces on Hasakah province with ROJ NEWS AGENCY and explained: “After the diplomatic traffic between Iran, Turkey and regional countries, we witnessed the attack of Syrian armed forces on civilians in Hasakah. During these attacks, the Iranian armed forces (IRGC) have had a main role especially in the military field. After capturing a group of Assad’s regime forces, it was revealed that some of them are IRGC and Hezbollah members. It is obvious that this is a part of anti-Kurd policies of Iranian regime and its allies against the revolution of Rojava”. Regarding the role of Iran in the attacks on Rojava, Moînî said: “The confederacy between Iran and Turkey despite of all religious, financial and political differences is a strategic agreement. After YPG and YPJ fighters were able to liberate Manbij and moved towards liberation of Al-Bab, Iran and Turkey were scared that Jarabulus would be under the control of democratic forces; Therefore Turkey with all of its terrorist allied groups like ISIS, Al-Nusra, etc. is trying to deploy a joint special war against Syrian nations. This will open a new but dangerous frontline because Iran is also contributing in this plan. Opening a frontline from Iran in Rojava against Kurdish nation creates an opportunity which expands the anti-Iran frontline towards Iranian borders. Some of anti-Iran democratic forces welcomes this opportunity and would like to take this frontline within the Iran’s borders. Therefore, Iran is preparing a plan that at the end will be against itself”. Regarding PJAK’s position about the participation of Iran in attack on Hasakah, Moînî said: “Iran plays a dangerous game by attacking the civilians of Rojava. It has a political meaning. Iran must clearly understand that any kind of attack on Rojava will not end only in Rojava, there is a probability of war occurring inside Iran, there are giant forces that want to transfer this war into Iran with all their powers. Any kind of attack on our movements equals an attack on us as well and it is clear what PJAK’s position and reaction is on that. Iran is afraid of an uprising civil war. With changes occurring within regional governments, changes in nation-states will be inevitable. These changes could be like what happened in Iraq and Syria or it can be in a peaceful manner. If Iran does not choose the second way, a civil war is inevitable”. 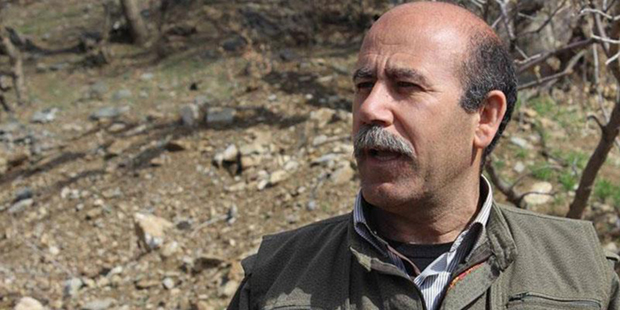 About the unconfirmed news regarding the participation of some Kurdish political parties in this plan against Rojava, Moînî said: “We do not have any evidence which party is going to participate in this conspiracy against Rojava, but the deeds of certain parties are in this work frame, these parties serve the politics and purposes of Erdoğan and Iran. They will be used as a militarily tool by regional hegemonic forces. The KDP politics especially Barzani family are completely affiliated to the Justice and Development Party (AKP) and the history of this party (KDP) shows us they have been used by the occupiers continuously. After the revolution of Kurdish nation in Rojhelat (East Kurdistan) KDP cooperated with Iranian regime against Kurdish nation. Regarding political parties of Rojhelat I cannot say they are doing the same thing, but unfortunately their deeds shows us differently”.